DAPHNE DU MAURIER (1907-1989)was the daughter of the legendary actor-manager Gerald du Maurier and granddaughter of George du Maurier, the author of the vastly successful late-Victorian novel Trilby and cartoonist for the magazine Punch. She grew up in London and Cornwall, where she would settle as an adult. 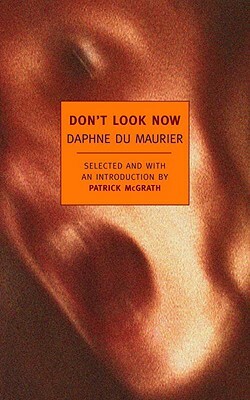 Du Maurier published her first novel when she was twenty-three and would go on to write seventeen more, many of them best-sellers, including My Cousin Rachel, Jamaica Inn, and Rebecca, one of the most popular novels of the twentieth century. In addition to her fiction, du Maurier wrote several family biographies, a biography of Branwell Brontë, a study of Cornwall, two plays, and a good deal of journalism. She was married to Tommy “Boy” Browning and was the mother of three children. PATRICK MCGRATH is the author of two story collections and seven novels, including Port Mungo, Dr. Haggard’s Disease, Spider, (which he also adapted for the screen), and most recently, Trauma. Martha Peake: A Novel of the Revolution won Italy’s Premio Flaiano Prize, and his 1996 novel, Asylum, was short-listed for both the Whitbread and the Guardianfiction prizes. McGrath is the co-editor of a collection of short fiction, The New Gothic. He lives in New York.